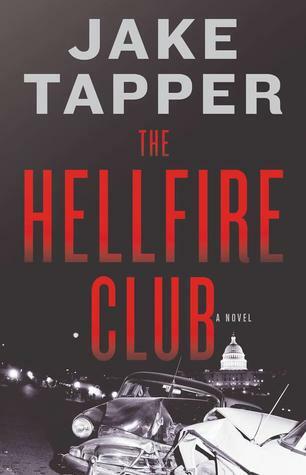 I enjoy listening and reading Jake Tapper, the journalist. I was excited to see this book. I know it is set in the 1950’s but Charlie is not a stupid man. He knows right from wrong, he served our country in the military. He has principles. Oops, not a good thing to have as a politician. You don’t even need to have average intelligence to know that Washington is one big game of who you know, who you owe, and who owes you. Trust no one and keep your mouth shut. I can’t believe with his famous father Charlie didn’t grasp that quickly. If you didn’t figure out what was going on by Chapter 2, after the car crash, well keep those rosy glasses on. Other than a lot of political name dropping and the mix of fact and fiction, there wasn’t a lot of meat to this book. The characters were vague and some a bit over the top. All in all I was bored. But I sure hope Mr. Tapper keeps up the journalistic career! I like watching him too. I think he’s done such excellent work lately. I didn’t even know he was writing a novel! But yeah, if it’s supposed to be a thriller and it’s boring, then best he stick to his great journalistic career. It felt like Designated Survivor in the 50’s. I started watching Designated Survivor and couldn’t get into it…definitely not what I’d want to read in book form! I wondered what his book would be like. Would you recommend this book or no? In all honesty no. But that’s just my opinion.